An idea inspired from 10 years of photographing and filming Maui’s visitors snorkeling with marine life. 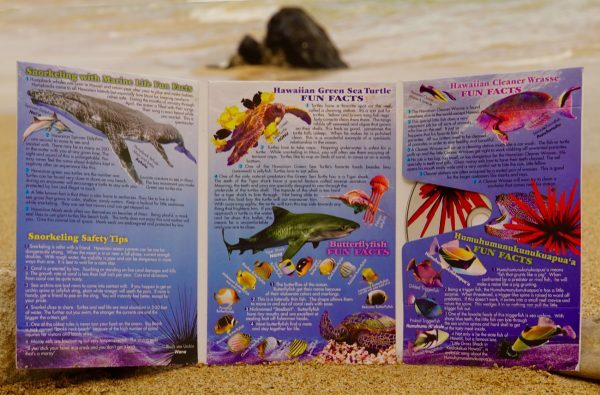 Our company created a gift product to address visitors curiosity, fun, safety and fears. 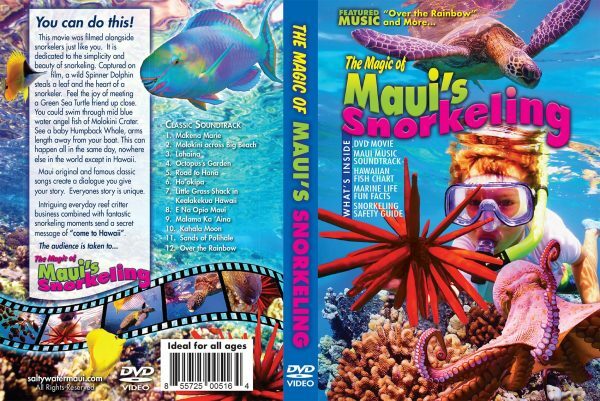 Fun facts and snorkeling tips have been integrated in as part of the beautiful packaging which holds a 40 minute colorful underwater movie DVD with an amazing island music soundtrack. A gift product like none else on shelves anywhere in Hawaii.